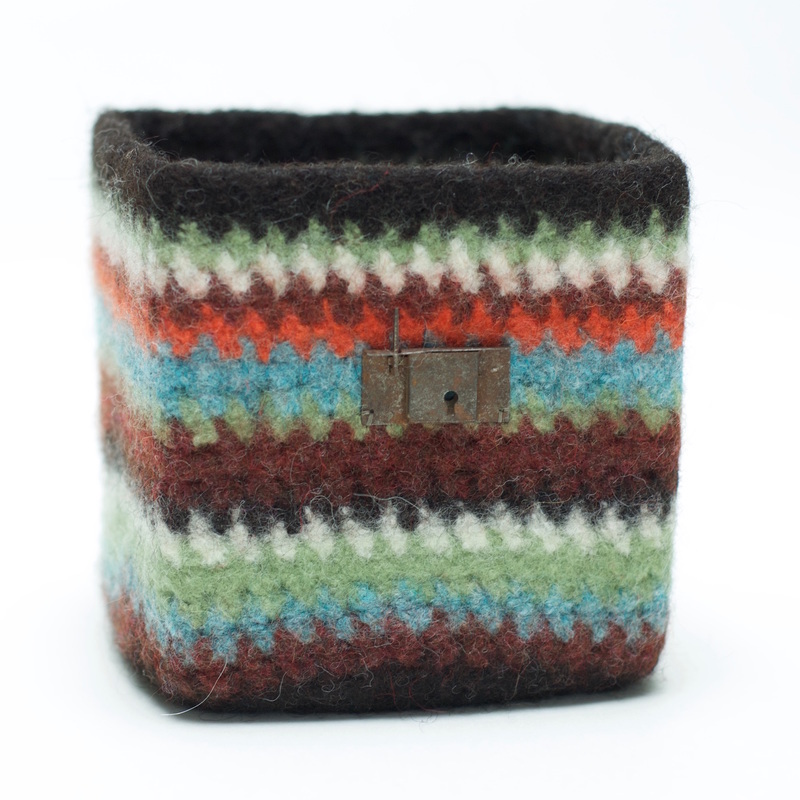 BOL tribal is a straight-sided firmly felted square container. 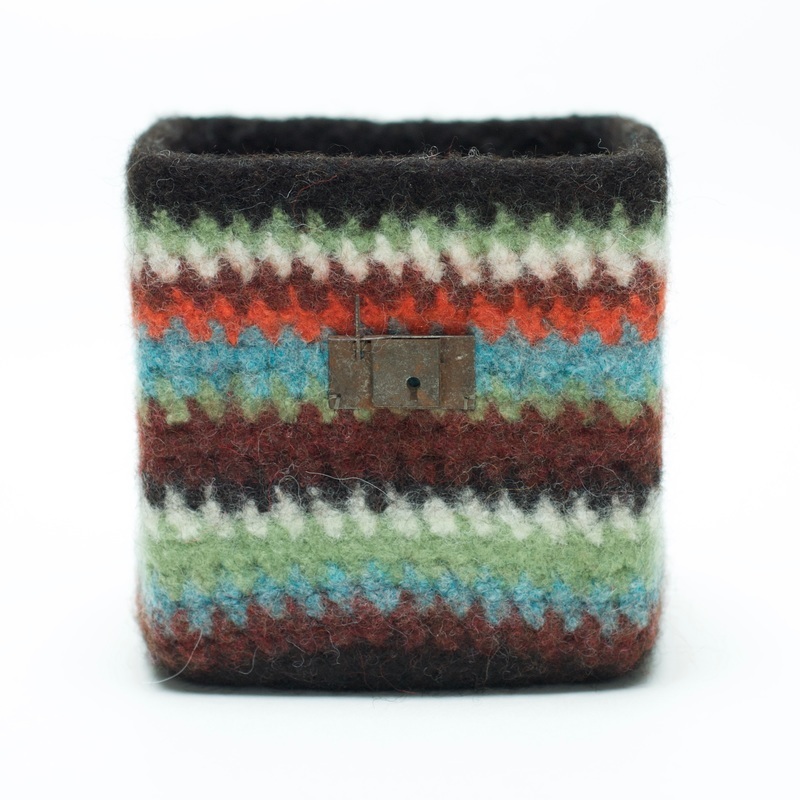 The colour combination is borrowed from my favourite Turkish Kilim pillow. Adding to the rustic feel is an antique lock component mounted on the front of the BOL. BOL measures 6" square by 6" high.